The key to make a new app become popular is by redirecting traffic to your page and making people aware of your app. You need to have at the very least 5000 downloads within a very short time span to make your app come up in the app rankings. What you can do is send messages and emails to your contacts so that they will be redirected to the webpage from where they can download the app. The more traffic you generate the better it is for your app. There are various marketing strategies that will help you in getting your product across to your audience. First you will have to categorize the kind of audience that you are aiming for. If you are aiming for teenagers then the best way to reach them is through social media while if you are going to target corporate then emails or SEO marketing will work best. You will also have to come up with descriptions and screen shots that will attract the maximum downloads. There are keywords that you have to use while writing the description in order for users to find your app when they are looking for it. For instance if your app is to help users in online shopping then you will have to use the work online shopping four to five times in the description. You will also have to use words like cash on delivery and net banking two to three times. Try to maintain a balance by not using the keywords too many times and at the same time by not omitting it completely. You will also have to put up relevant screenshots so that users are able to judge the utility before they proceed to download it. You should also install the prominent features and advantages of using the application. Make sure you have listed all the permissions your app is going to need because users will be able to know it once they have installed the app and it is always better to be honest from the very beginning as it will help you get good reviews. A good description video goes a long way in ensuring positive reaction from the users. You can hire someone professional to highlight the main USP of the product and exactly why a person should download and install it. Bring the strong points to the fore front so that users feel compelled to download and rate the app. 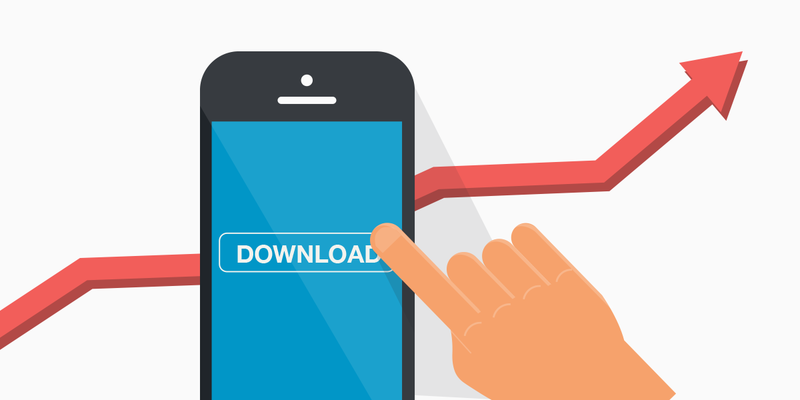 Only downloads is not enough and you will also have to ensure your app gets good reviews always. Even when your app is very good many users will be reluctant to give a review. You will have to be persistent in asking the user for a favorable review. But do not be too in your face. Make subtle notifications that will ask the user to post a review or rate the app. You can also promise additional features for those who have given ratings to your app. Timely response and upgrading is also important towards getting good reviews and ranking. By addressing the user’s problems and queries you will stand a chance to get more stars and popularity.